The criminal defense attorneys at Wirth Law Office provide the expertise you need when criminal charges threaten your future. Whether you are charged with a minor misdemeanor or a major felony, Tulsa criminal defense attorney James Wirth and the experienced Oklahoma defense attorneys at Wirth Law Office are ready to stand up for you. after trial for favorable sentencing. 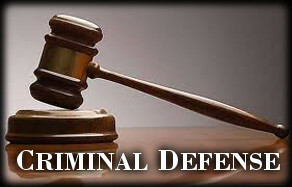 The Firm News page details some of the Wirth Law Office’s criminal defense victories. On almost any day, Wirth Law Office criminal defense lawyerss represent Tulsa clients facing charges that can make the difference between a life of freedom or jail. When the chips are down, Wirth Law Office steps up with criminal defense attorneys Tulsa residents trust to defend their freedom and fight for their rights. If you would like a free consultation with a Tulsa Oklahoma criminal defense attorney, call the Wirth Law Office at (918) 879-1681 (or toll free at (888) Wirth-Law) or submit the question form at the top right of this page.